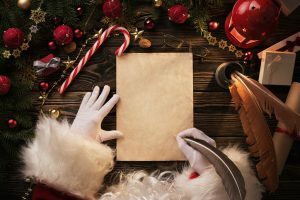 Don’t get coal in your job search stocking. Interviews are scary. But if you have a great resume, interviewers better watch out, because a well-qualified applicant is coming to town. A good resume does half of the work for you. 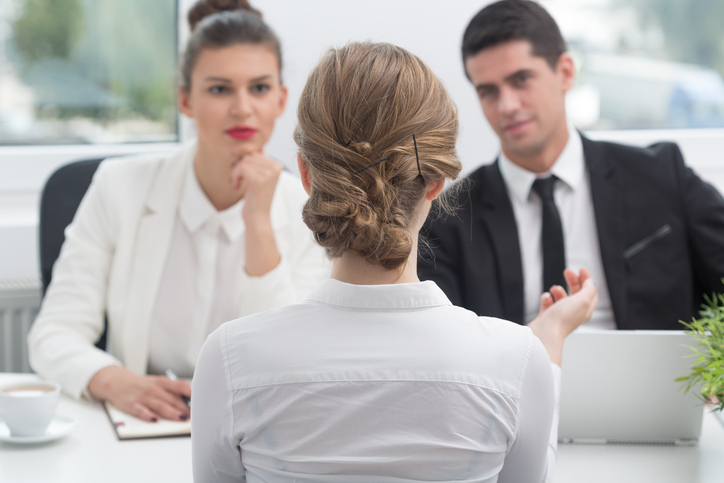 Your interviewer will know your skills and accomplishments, so all you have to do in the formal interview is show that your personality and preferred workplace culture are in line with those of the company. Ghosts and ghouls are garish and ghastly. Zombies are zealous in their pursuit of brains. And warlocks are wild in their suspiciously suspect spellcasting. Only a select few enjoy resume-writing. For the rest of us, the onerous activity can seem like an exercise in futility, akin to trying to melt a witch wearing a water-resistant wetsuit. You must get your foot in the door to score a job, and, unless you’re a zombie with the ability to throw your actual foot through the literal door, you’ll need a tip-top resume to get past the scanning robots and secure an interview. Here are the tastiest words to make sure you don’t get eaten by the competition. Launched (a new project, blog, program, team activity, regular event, etc). Increased good thing (gross margin, sales, customer satisfaction) by ___%. 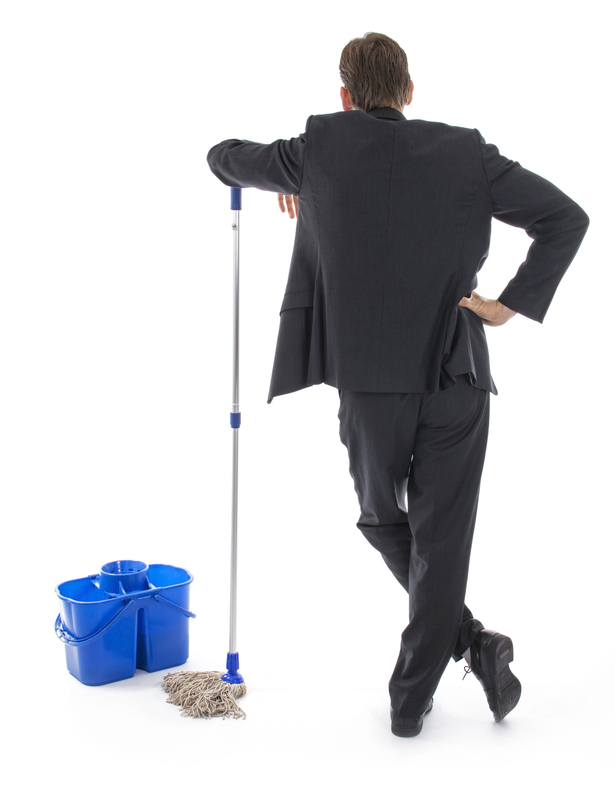 Decreased bad things (customer complaints, workplace accidents, etc.) by ___ %. And that’s it! Now that you have plenty of words in your resume pumpkin, you’re ready to turn it into a ferociously fresh job search jack-o’-lantern. So, get carving! Any other “boo-tiful” words you’ve found effective in getting your resume noticed? Let us know in the comments below! For college seniors, graduation is right around the corner. For the rest of us, a change in weather might inspire a change of career. Regardless of the reason, spring is a great time to modify your resume to get rid of anything that isn’t working. 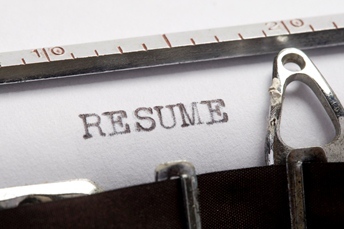 Plenty of people clean out their houses this time of year; why not spiff up your resume? Starting at the top, we have your name, address, phone number, and email. These are the first things your potential employer is going to see, so make sure they’re updated! Nobody will contact you if your contact information is wrong. And you most definitely don’t want your college or previous address on there. Companies want to know that you’re in their area and ready to work (unless you plan on relocating, which should be noted in your cover letter). Do you have anything new to add to your experiences? 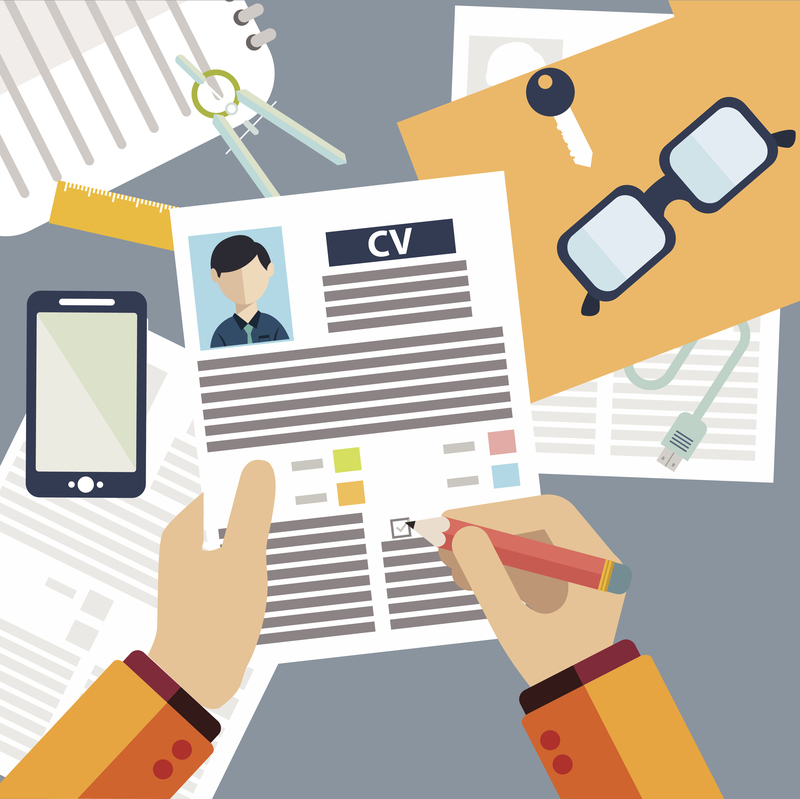 An outdated resume is an easy way to reject a candidate. If you still have your high school fast food experience on your resume, now might be a good time to remove it (unless it’s one of the few experiences you have, of course). Keep everything to one page. And if your work experience is lacking, don’t be afraid to put down involvement in charities or professional groups. Verb tense matters. If you still have your last job listed with verbs in the present tense (oversees, leads, conducts, etc. ), change those to the past tense (oversaw, lead, conducted, etc.) And if your current job duties are listed with verbs in the past tense, change those to the present tense. This may seem like a small thing, but it’s a big pet peeve among the HR community. If you haven’t looked at your resume in a while, consider a revamp of the way you present your experiences. 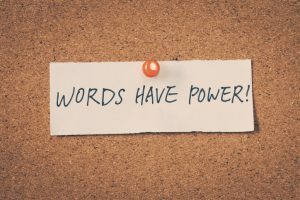 Change boring words like “did” and “saw” to action verbs like “presented” and “oversaw.” Have peers and professionals review your resume to make sure you present yourself in the best way possible. Remember how you used that professor you loved as a reference because you performed well as a leader in the big capstone group project? That’s great to include if you’re graduating this year, but not so great if you’ve been working for five years. The references you choose should be not only relevant, but also timely. Take the time to contact your references and make sure their phone number or email is up to date. While you’re at it, send thank-you letters to references you’ve provided in the past. A cover letter provides a chance to show that you’re more than a number or words on a page. It is by no means extinct. You’re a person, with your own thoughts, values, and experience that show you’re the right person for the job. Your cover letter should be a living document. That means changing it depending on the company you’re sending an application to. It’s great to have a standard cover letter, but use that as a base and adapt it to each new company. If you’ve been using the same cover letter for years, update it and remove unnecessary information (e.g. old experiences, outdated references, etc). Social media may feel anonymous, but it’s not. Your face and name are there for all the world to see. Social media is the first place recruiters go after you’ve impressed them with your resume. If your page is full of activities that aren’t exactly work safe, you won’t look right for the job. Same goes for extensive posts about your political views. Set your social pages to “private,” and create business pages where appropriate. If most of your Facebook and Twitter information is hidden, the recruiter will settle for your LinkedIn page. That’s what you want them to see—the professional version of yourself they need to hire. Have any other questions about revamping your resume? Let us know in the comments below! Your resume is the first thing HR looks at, and unfortunately, you don’t get a chance to talk to them or show them who you are as a person before the interview. All you have are the words on the page. Which is why it’s so important to make sure you use the right ones. Resumes can be frustrating. You’re spending hours working on a document when you know that if you could just meet your interviewer, you’d land the job. But it’s something we all must deal with. It’s not possible to interview every single applicant, so companies need to have some way to narrow down the competition. That’s why they have software that picks out certain words as more pertinent to the job than others. Here’s how to make sure you don’t get thrown out of consideration. 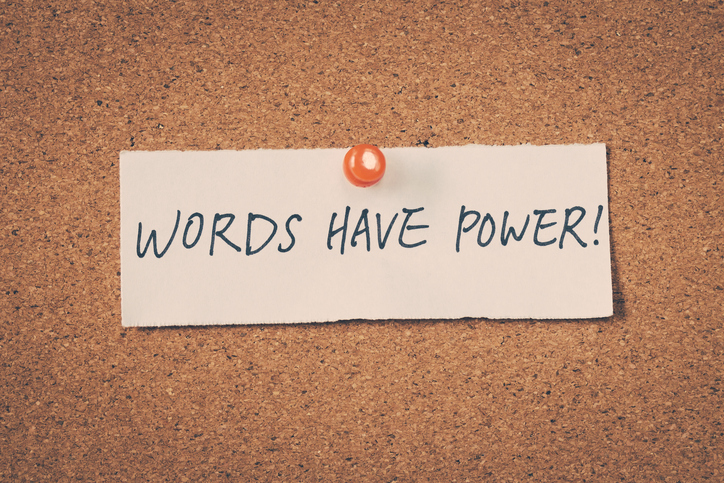 In addition to the words you should use, there are some words and concepts you’re better off staying away from. Don’t use the wrong tense. If it’s your current job, use the present tense. If it’s about a previous job, use the past tense. Realize that not all words are going to be right for every situation. If you were never a team leader or a manager, you probably shouldn’t use something like “oversaw” or “orchestrated.” The perfect words will vary depending on your industry and position. Don’t use mundane words like ‘did,’ ‘saw’ or ‘typed.’ Instead of focusing on something you can find in a job description, list out your accomplishments. Don’t talk about soft skills, like being a “people person,” a “team player,” “responsible,” or “kind.” These qualities are expected of a qualified candidate. This type of information is more well-suited to a cover letter or interview. Don’t use the first person. It’s unprofessional and can be confusing for the HR person because first person refers to them as they read it. Any other words you love to use in your resume? Questions about the perfect term for a given situation? Let us know in the comments below! Interviewers and HR professionals go through hundreds of resumes a day. And that’s after computers have already gone through thousands more. If you really want to stand out, you need to add something extra to your resume. After all, you can’t make an impression without an interview. We’ve previously provided you with the best words to use in your resume, and we’ve helped out with ways to maintain your resume over time. In this blog, we’ll focus on the little things you can do with your resume to truly stand out. In order for your resume to even be seen by a human being, you first have to get past the robots. No, this isn’t a science fiction story—we’re talking about the programs companies use to filter resumes. These programs look for certain keywords and phrases that show how you match the job qualifications. A lot of that is industry jargon—words and phrases only those “in the know” would use. And guess where a lot of those words show up! Right in the job description. Find anything usable in the job description and pop it right back into your resume. Google is an invaluable resource for finding out more industry-specific words to use. However, be careful of using too many keywords. If your keywords aren’t organically placed into the resume, they will look out of place once the resume makes it into human hands. Instead of trying to pack your resume with as many keywords as possible, just make sure to choose the right keywords in the right places. Don’t stop at just customizing your resume for the industry. Make sure it answers each and every concern brought up by the job description. Make sure each bullet shows exactly how your individual work advanced the company as a whole. You can accomplish this even if your prior work has not been in the same industry. Just re-frame your experiences with industry specific terms, and show how that experience would really help in this new job. The only difficult part of all of this is answering requirements with bullet points. You obviously can’t just write out your answers like in grade school. You have to adapt them to the resume format. Look at a few different resume formats online, and choose the one that best matches your current needs. Companies want to know more than what you did. They want to know how what you did benefited the company as a whole. In other words, they want to know your accomplishments. Quantify each accomplishment, noting how it led to an X% increase in efficiency or saved X amount of time on project. Use action verbs like oversaw, managed, led, etc. Looking for more resume help? Let us know your questions in the comments below! Take a break from the heat and update your resume. If you’re not enjoying the sand and surf, why not take a few minutes to see if there are any changes you should make to your resume? A good cleaning every now and then (we recommend constant resume upkeep) is good for even the most storied of resumes. A look at our top resume advice couldn’t hurt either. So then, what can you do to spruce it up? When a job is especially competitive, employers simply don’t have the time to give each and every resume an in-depth analysis. As a result, they’re looking for reasons to throw out some resumes and narrow the talent pool. If your potential employer is a stickler for spelling or grammar and you make a small mistake, it could cost you the job. Make sure any bullets under your current position use the present tense, and any past positions use past tense. After all, you aren’t still in charge of anything at a past position, right? Do use action words, but don’t use them as multiple bullets under one position. Repetition of the same words over and over can make it seem as if there wasn’t any variety in your responsibilities. Although a lovingly crafted resume with fancy formatting and a recent headshot might look great, that isn’t what most employers are looking for. They want to know about your experience, not your design skills (unless you’re applying for a design position, of course). You don’t want your formatting to distract from your accomplishments. In addition, the majority of resumes you send out online will be analyzed by computers first and people second. A heavily formatted resume is difficult for computers to read. So make it straightforward and legible, for both your human recruiter and your robot analyzer. And when a computer autofills an application based on your uploaded resume, make sure to review the result. If it looks strange on your screen, it will look strange on a potential employer’s screen as well. Your resume should change depending on where you are in your career and what job you are applying for. If you’re just now joining the workforce , it’s understandable that you won’t have as much to put on your resume. However, never leave a resume section blank. Add any information regarding the organizations you’ve been in, as well as any community involvement and awards you’ve received. Your education should go toward the top. However, once you’ve been in the workplace for a while, your education (while still important) is secondary to your professional accomplishments. In general, start out with your name and mission statement, and follow up with your positions. Under each position, bullet what your responsibilities were. Next, put in any community involvement and awards. Leave education for last, followed by technical skills. Make a master resume document including everything you’ve ever done, and copy/paste from it as required by each position. If it’s a writing position, you’ll want to include any writing experience. However, if it’s a programming position, your freelance writing stint might not be quite as important. Regardless of whether your desired position requires a college degree or not, we recommend getting a LinkedIn account. Your LinkedIn profile is a recruiting resource that is always available. Even if you aren’t actively pushing your resume, having an updated LinkedIn profile ensures potential employers can find you. It also gives them something professional to find when they run an online search on you. Have any resume tips of your own to share? Let us know in the comments below!